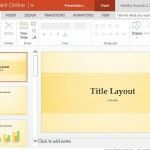 Badge is a widescreen template for PowerPoint Online with a modern UI design. 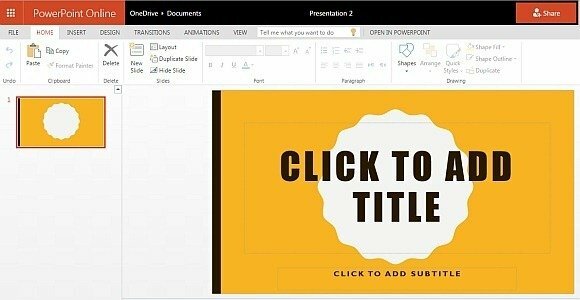 This is a general purpose template which means you can use it for any type of presentation. The layout is simple, yet eye-catching as the badge layout in white, surrounded by a yellowish color tone makes the center text stand out. 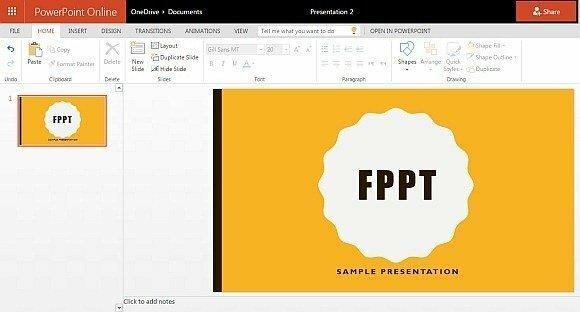 This PowerPoint Template consists of a single slide with a white and yellow background with black text overlay. 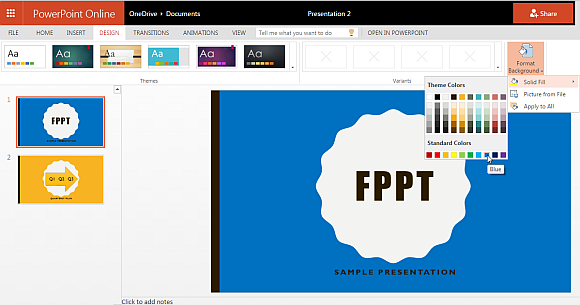 The below screenshot provides an example as to how your text can stand out using this minimalist template. 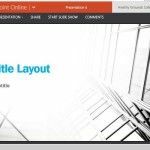 You can insert various elements within the whitespace provided in a badge shape to make your content more prominent. We inserted an arrow using SmartArt Graphics and labeled it. As you can see there is text at the bottom describing the content. 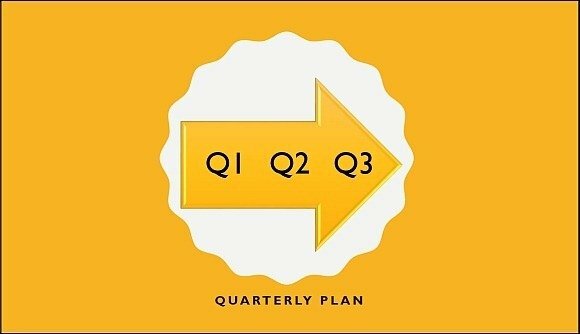 This way, you can make good use of the whitespace to highlight your charts, graphs, diagrams or text. 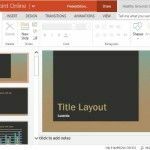 The below image shows the template running in Slide Show mode using PowerPoint Online. You can also export the template offline by saving it using the ‘File’ menu. Similarly, you can add transitions, animations and a range of other options to customize the sample badge layout. In case you don’t want the yellow color tone, you can change the background color via the Design tab and also perform other customizations to the sample layout. 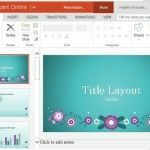 For more elaborate badge themed presentation templates, see this collection of Free Badge PowerPoint Templates and this review of Animated Badge PowerPoint Templates. 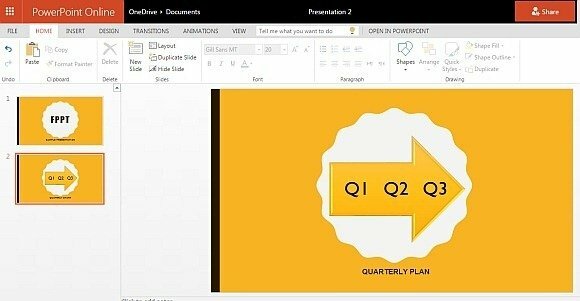 You can access this template by logging in using your Microsoft account at Office.com (see below link).